Arts documentary. 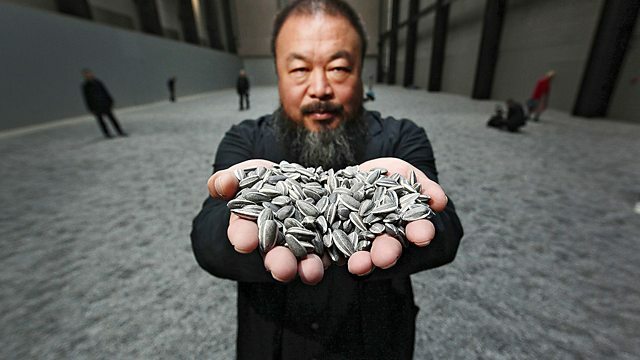 Alan Yentob reveals how Chinese artist Ai Weiwei continues to fight for artistic freedom of expression. Arts documentary, first broadcast before Ai Weiwei's arrest by the Chinese authorities in April 2011, and his subsequent release after being detained for 11 weeks. Architect, photographer, curator and blogger, Ai Weiwei is China's most famous and politically outspoken contemporary artist. Alan Yentob explores the story of Ai Weiwei's life and art, and reveals how this most courageous and determined of artists continues to fight for artistic freedom of expression while living under the restrictive shadows of authoritarian rule.